Week two of the Western Indoor Soccer League season kicks off on Saturday with an abbreviated slate of two games. 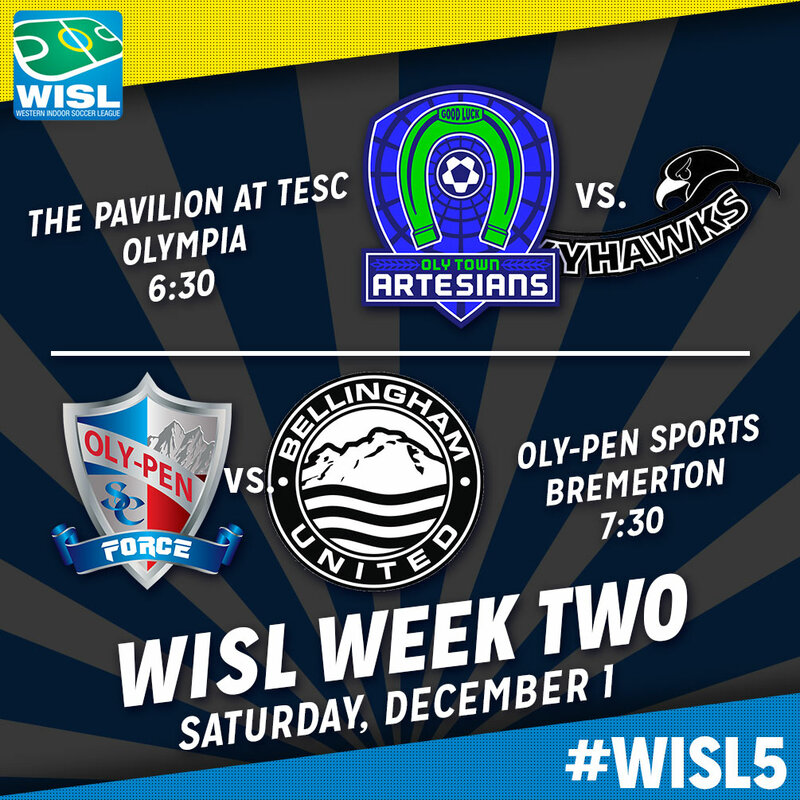 The Oly Town Artesians host the Snohomish Skyhawks at 6:30 PM at The Pavilion at The Evergreen State College. 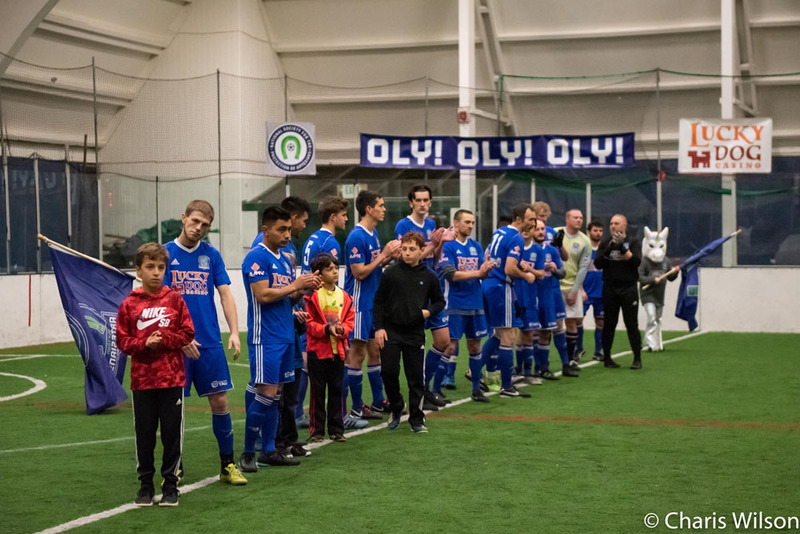 Then an hour later at 7:30, the Oly-Pen Force kick off their home opener against Bellingham United at Oly-Pen Sports. The Tacoma Stars Reserves and Tacoma Narrows were originally scheduled to play this weekend but moved their Grit City Derby to December 29th. The Artesians enter the game at 0-1-0 after dropping their season opener, 9-6, to Tacoma Narrows FC. TJ O’Connor and Nate Boatright each scored twice in the game and David Cook and Christian Segovia each added goal. Snohomish also suffered an opening game loss, 9-4, on the road to Bellingham United. John Troka scored twice including an impressive bicycle kick goal that temporarily gave them a 2-1 lead over the Hammers. Devin Shull registered a goal and an assist in the loss for the Skyhawks but an injury to goalkeeper Craig Otto forced emergency keeper Trevor Davoren into action. Oly Town has historically struggled against Snohomish registering just one win in six games over three seasons. The Skyhawks dominated the series last season outscoring the Artesians 25-10 in two wins. The lone win for the Oly came in the last game of the 2015-2016 season, a 10-6 victory. 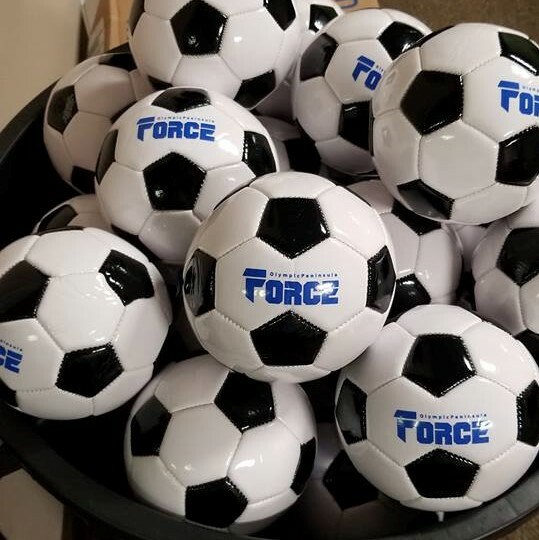 The Olympic Peninsula Force opened their 2018-2019 campaign on November 11th with an 8-2 loss on the road to the Tacoma Stars Reserves While Bellingham United opened their season at home with a 9-4 win over Snohomish on November 18th. Both squads got some solid experience with friendly losses to the Major Arena Soccer League’s Tacoma Stars over the first two weeks of the season. Bellingham’s Jared Davis was named Offensive Player of the Week after his hat trick in game one and Christian Caro also scored three goals. Hammers’ player/coach Richard Henderson also slotted home a pair of goals. Collin Ralston and Matt Olson each scored once for the Force in their opener. These two teams have a long history against each other in the WISL. Bellingham is a founding member that has been in every WISL championship game, winning the last three. Meanwhile, Oly-Pen joined the league in year two and advanced to two straight championship games, losing both of them to the Hammers. Last season, Bellingham took both contests, but only by a combined three goals (10-9 and 9-7) and they lead the regular season series 1-4-0.